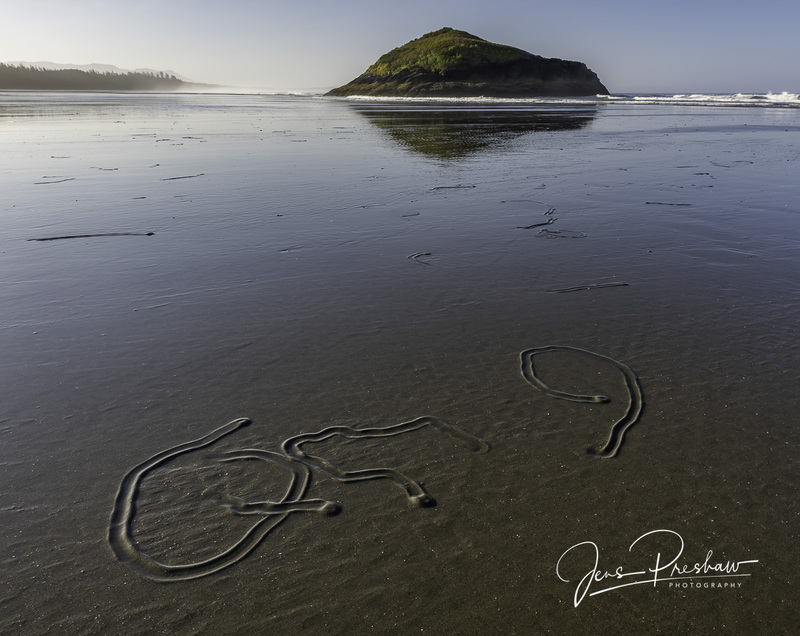 Early in the morning I noticed this lone surfer further down the beach coming out of the surf. 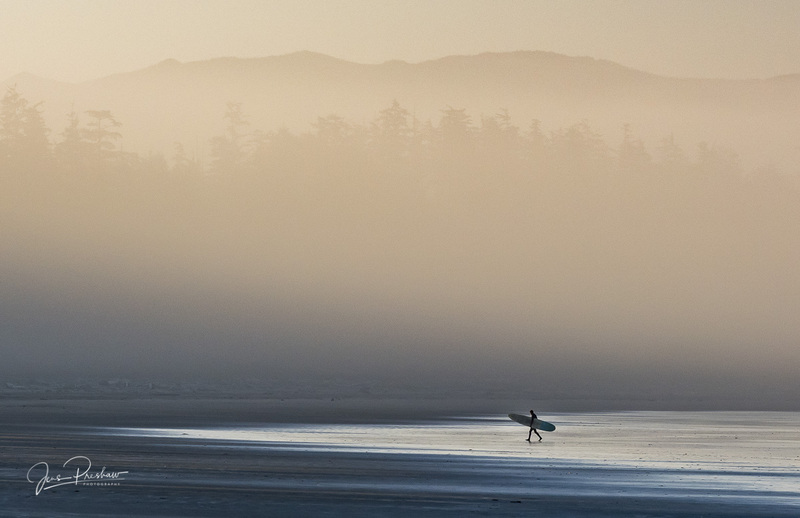 I like this photo because of its simplicity and it conveys summer in the Pacific Northwest. The trees and mountains in the distance are barely visible through the mist. Click on the image to see a larger version. The daily rhythm of coastal minks depends on the tide cycle. 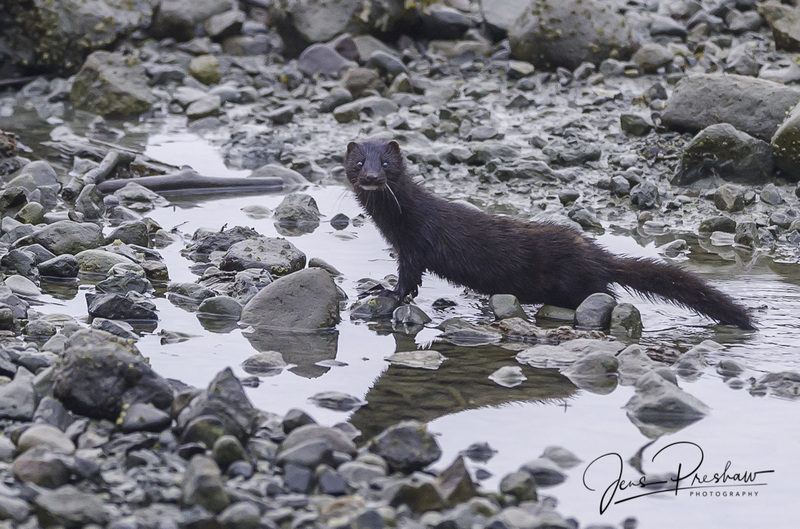 I was photographing this mink while it was exploring the intertidal zone during a low tide. It was very shy, elusive and I had to stand very still while it became comfortable with my presence. This small mammal never stops moving which made it difficult to capture a good photograph. The mink was foraging in a bay where there was lots of boulders, rocky crevices, and marine plants, which provides cover for prey. 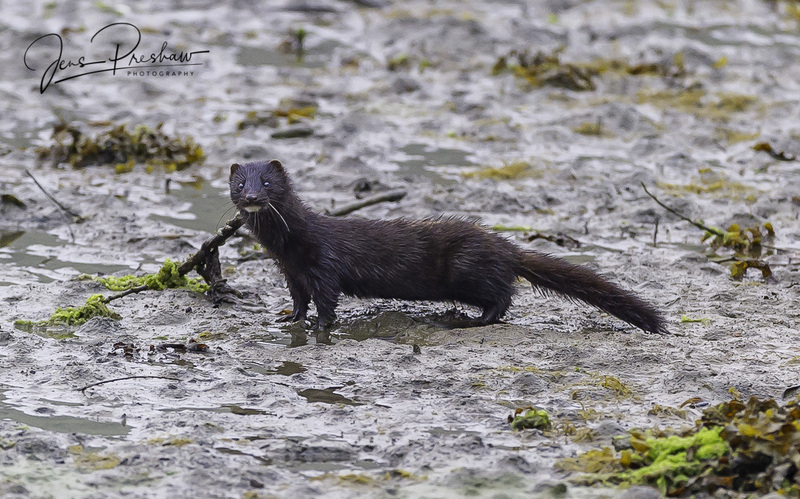 The coastal mink eats shellfish ( mainly crabs ) and small fish. After the mink disappeared into the trees, I felt fortunate that I was able to spend some time with this solitary and efficient hunter. 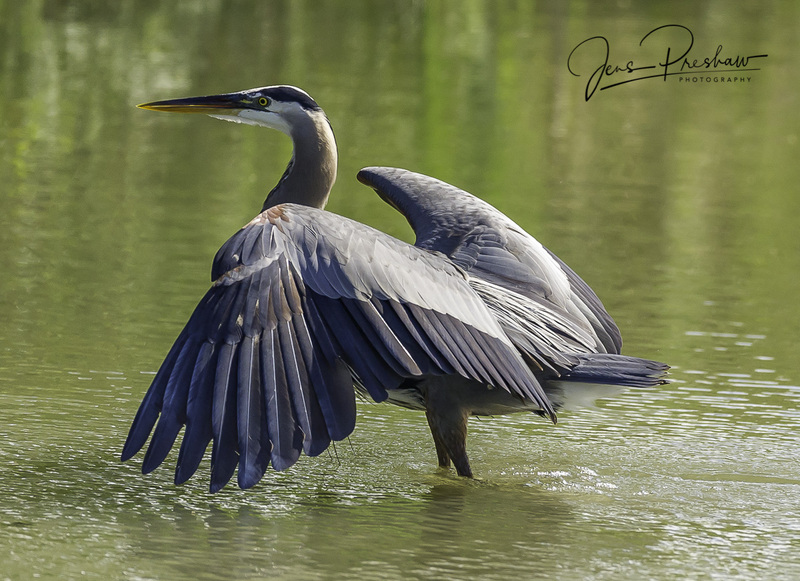 The Pacific Great Blue Heron is a patient hunter who often stands perfectly still for several minutes. This morning there was cloudy weather and scientific studies have shown that the clouds make it ideal for herons to look for fish. I watched this heron catching a few sculpin, which it swallowed, even though they were wider than its narrow neck. 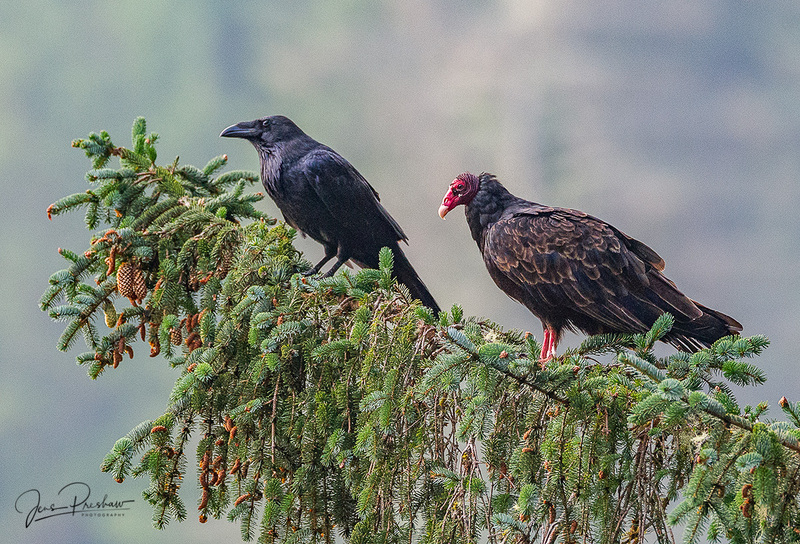 I like this photo because it shows its beautiful feathers. Click on the image to see a larger version. 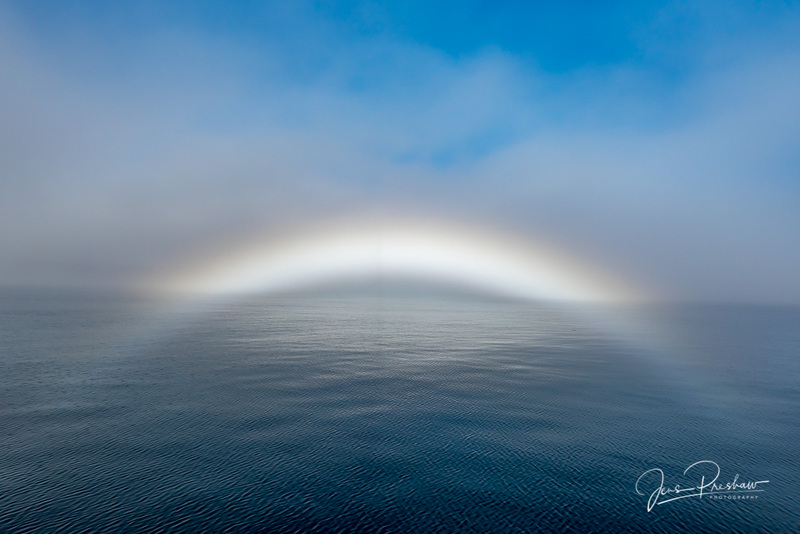 I designed a new watermark to add to my photos. In the image of the swimming grizzly bear I’ve enlarged it. 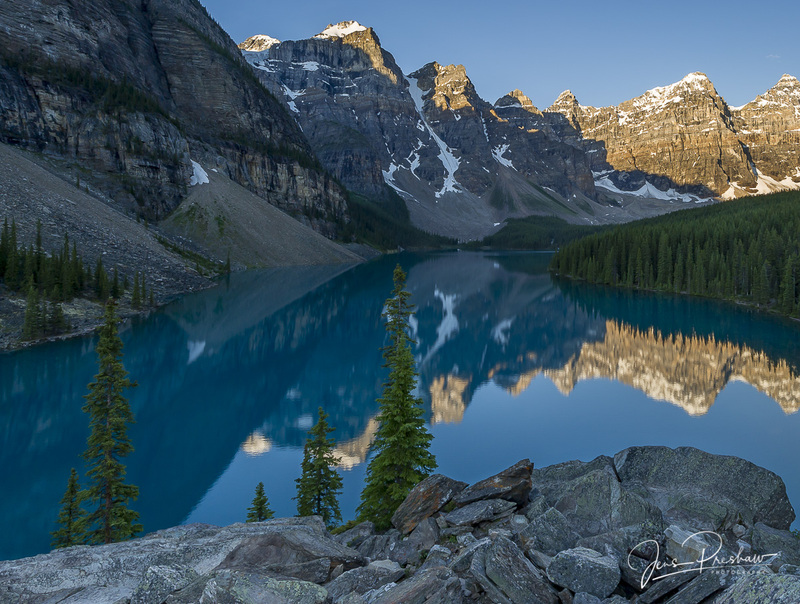 It will usually be displayed smaller in the left or right bottom corner of the photo. Click on the image to see a larger version. The New Democratic Party followed through on one of its campaign promises and announced that they are banning grizzly bear trophy hunting in British Columbia, which will take effect on November 30, 2017. 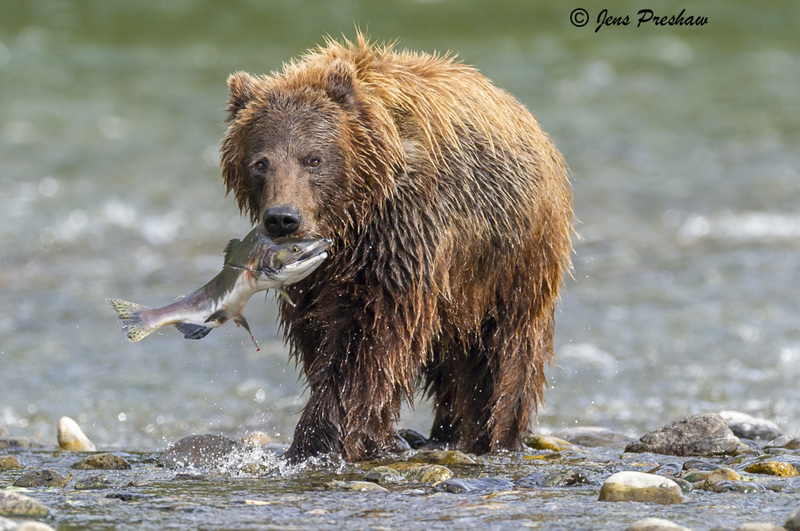 Individuals will still be able to hunt grizzly bears for their meat and environmental groups are concerned about this loophole. 1.) Bears are vulnerable – nine of the province’s fifty seven grizzly population units are listed as threatened. 2.) Sound science says the hunt can’t be maintained – more bears are being killed than government quotas allow. 3.) Living Bears are worth more – bear viewing companies directly employed an estimated 510 people in 2012, in contrast to hunting guide outfitters, who created a mere 11 jobs. 5.) The vast majority support a ban – eighty seven percent of British Columbians want the trophy hunt banned in the Great Bear Rainforest. 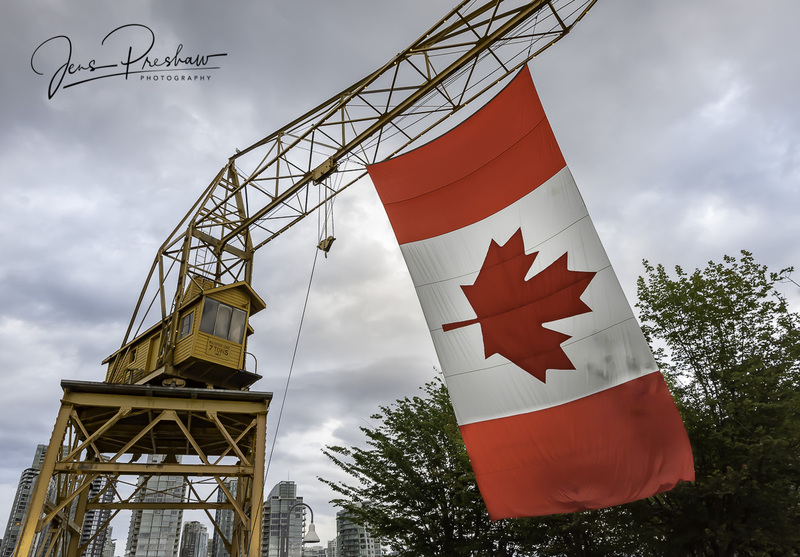 Eighty per cent of residents want the ban extended to the entire province. 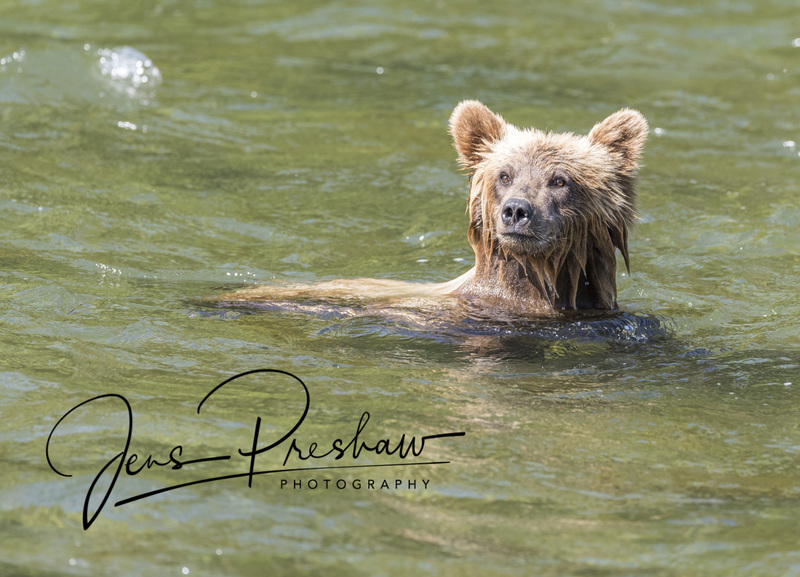 You can see my grizzly bear images and purchase prints here.